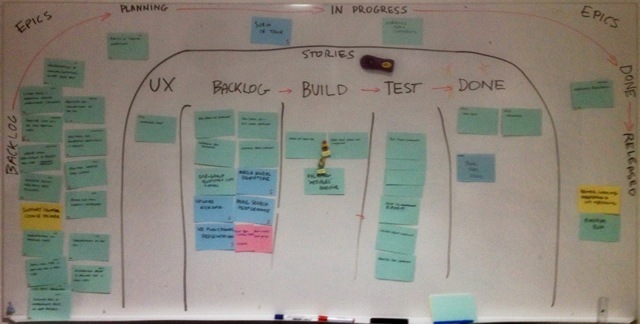 Are the stories that are talked about in planning always the ones that actually get played during a sprint? In an ideal world they are, but seldom does a sprint run according to the ideal. This team was getting a lot of work done, but still seemed to have cards left over at the end of a sprint. Were the cards taking longer than expected? Were additional cards being added? No one could quite be sure. One of the team members came up with a solution. 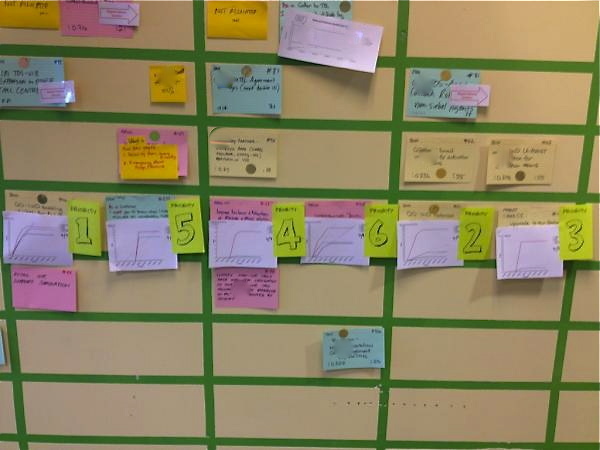 After the team had agreed the stories that would be played for the upcoming sprint, he took a photo of the cards. 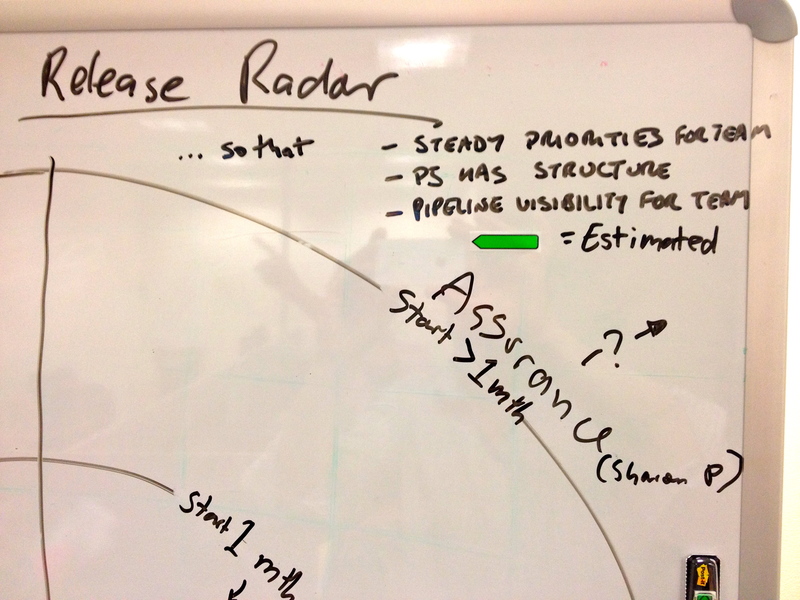 This provided a visual record of what the team had agreed would be done. It was stuck up next to the backlog and as cards were completed they were ticked off on the photo. At the end of the sprint it was easy to see what had got done, or not, out of the planned cards, and which new cards had been added into the sprint. This is a great example of a team member taking matters into their own hands and using their own visual language (photographs) to come up with a fresh take on planning. 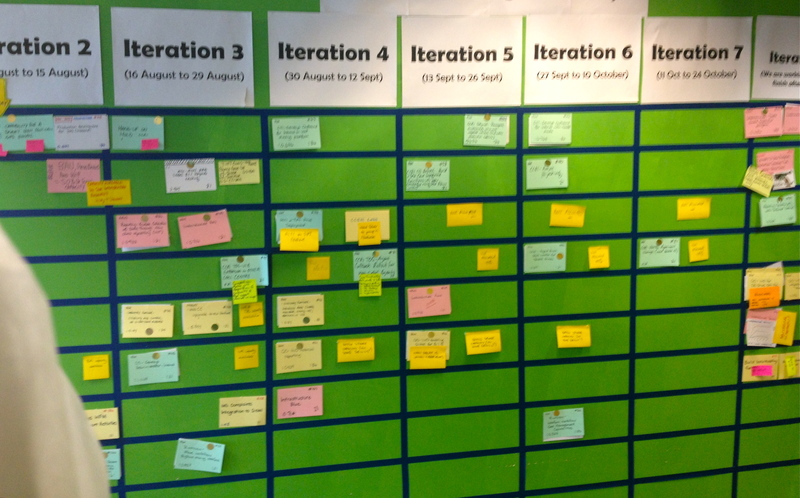 A common or garden Agile board is good for a view of the iteration you’re in, and perhaps a little further out. But what about when you need to see even further? 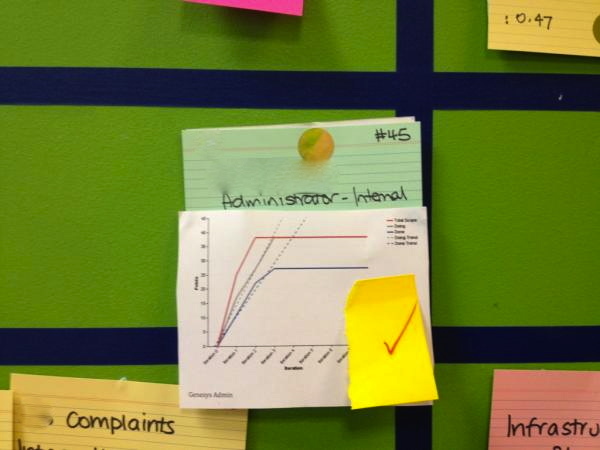 Agile teams often face the problem of “boiling priorities”. Priority changing on big pieces of work daily. You start to work on them, and then you hear they have been de-prioritised. It’s hard to know what you should be working on. The team can churn through a lot of brain cycles thinking about pieces of work which may or may not eventuate. This can be stressful. 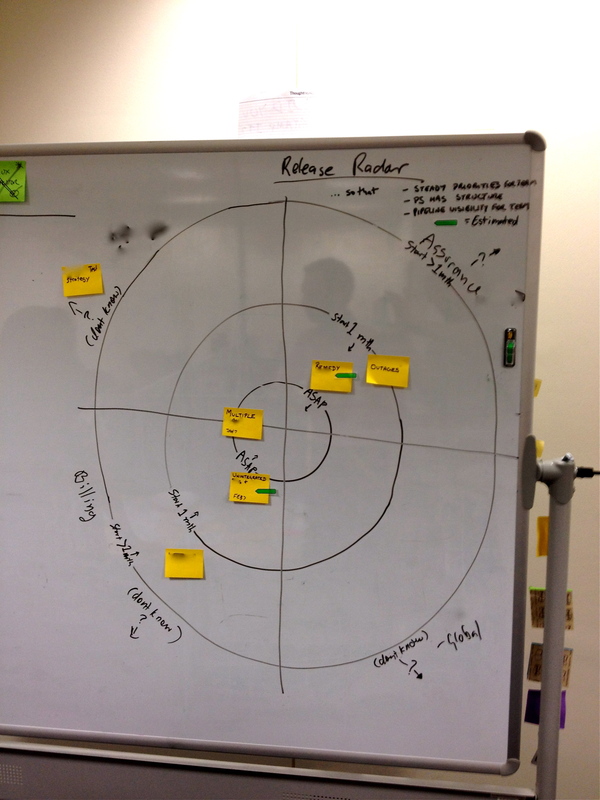 Daniel Aragao showed us a great way to deal with frothing priorities – the release radar. On our team, we took the idea and adapted it to our needs. Our radar simply tracks pieces of work as they orbit our world, and then come in to land. 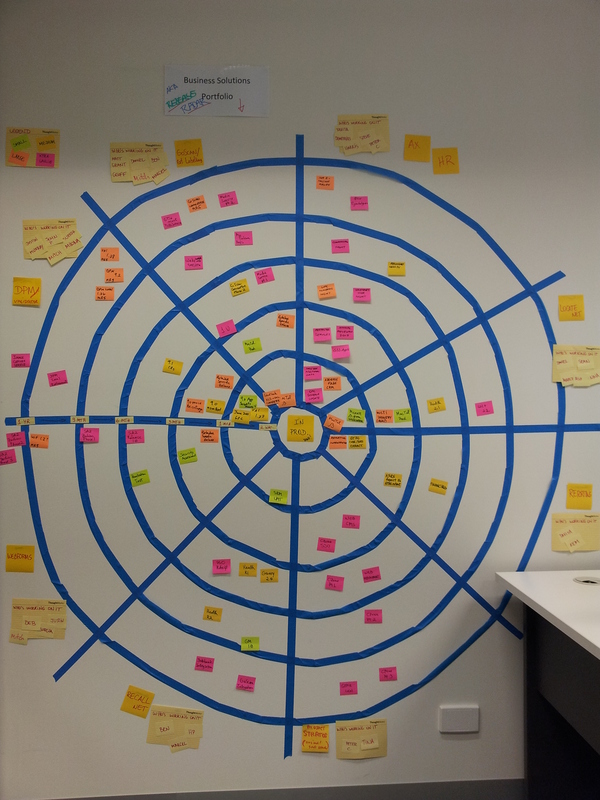 The purpose was to be able to provide steady priorities to the team (they only need to look at the innermost ring), to help our BA structure her work with stakeholders on preparing epics, and to get a view of the whole pipeline if we needed it. 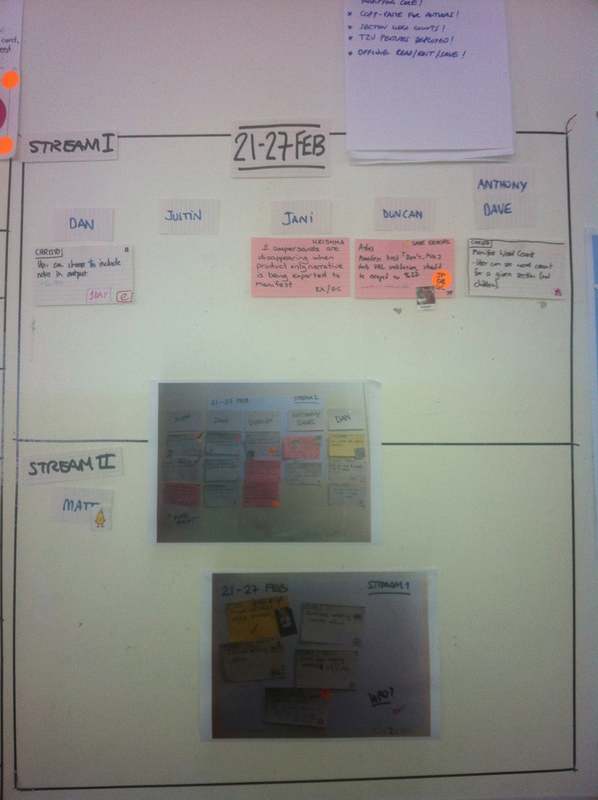 We keep it on the back of the iteration board, and a subset of the team meet once a fortnight to update it. It tells us what we need to actively think about, and what we can ignore. The quadrants relate to stakeholders. 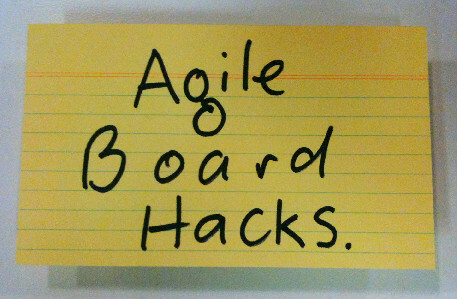 Spotted: Daniel Aragao of Thoughtworks shared this idea.